On a day that has fallen open like a book upon my lap, I sit on my verandah and ponder the great questions, Taurus full moon style. Like: what cake shall I bake? Lemon or sticky date? 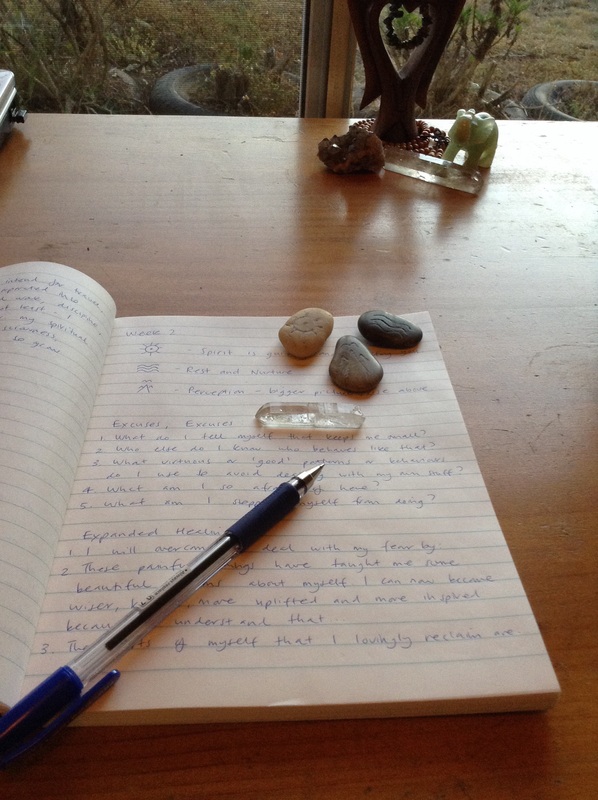 What should I do first – yoga or writing? 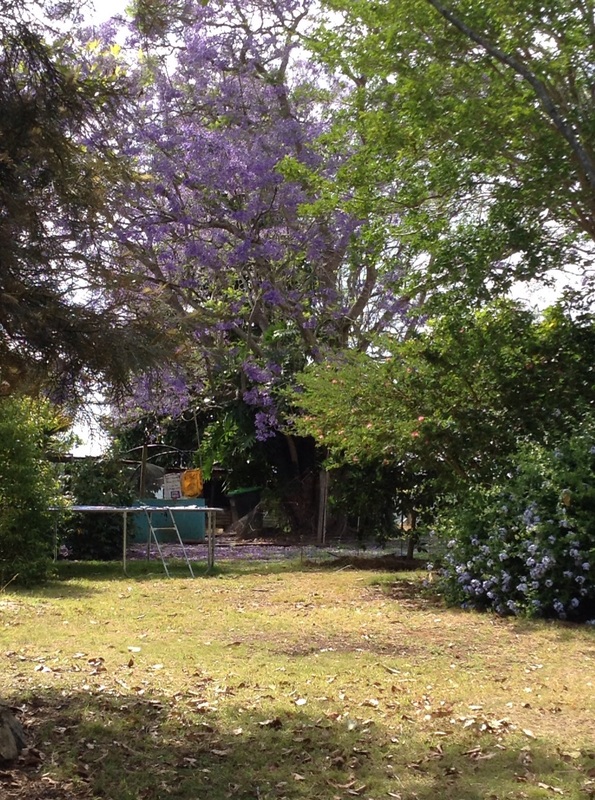 Is it possible for this day to get any more perfect, with the soft cool breeze, jacaranda flowers falling and the ground still rain softened? Tough questions indeed. There are reasons why we call our spiritual work our practice. We have to use our spiritual muscles everyday, we have to work it, we have to practise, just like with anything else we might want to do well. In this article, Marianne Williamson gives a few simple spiritual practices, that if performed every day, will result in spiritual fitness. The reason I love this concept of spiritual fitness, is that it means you have to move from reading, listening and thinking about spirituality, to actually applying and using spiritual practices in your real life. As a practical mystic, this appeals to me :). This week, the Bear and I headed out to our local cinema for the opening night of the Travelling Film Festival, a yearly event that showcases the best films from The Sydney Film Festival and sends them out to rural areas like ours so everyone can share in the joy :). I’m not a big film watcher – not because I don’t like movies – but because I’m so fussy. I hate to waste my time and energy on dross that doesn’t enhance my life, I really do. The movie that was opening the festival was an Indian movie called The Lunch Box. I love Indian culture and books or movies that are set in India, a bunch of my friends were going, and the movie looked like something I was going to enjoy. I was right – I did enjoy it. I loved it in fact, and I was completely charmed by it. Fortunately I bought the tickets online before we went, because it was completely sold out! 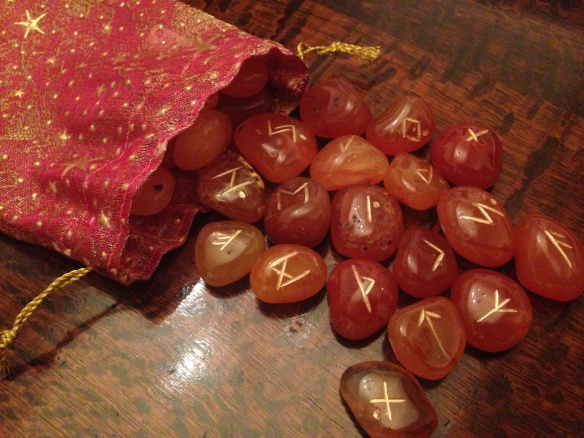 Last weekend Nicole announced that she was giving away a beautiful set of hand made carnelian runes. Guess who ended up winning them?? Me!! Not only did I win the runes, but she told her community about my blog, and a whole heap of them came over to visit :). So, sending out a BIG thank you to Nicole over at Cauldrons and Cupcakes today. Image from Singing Lotus. Click for more information on Singing Bowl healing. This week I have received not one or two, but three personal invitations from three different healers who all wanted to give me treatments; because that’s the kind of ridiculously fortunate life I lead. The first one was a Singing Bowl session. I’m guessing you may not have had one of these before, so picture this: you are lying down on the floor, surrounded by large, metal singing bowls. The practitioner hits each bowl with a felt covered hammer, sending the healing vibrations straight through your body. Each of the bowls are attuned to the same vibration of a particular chakra, so by the end of the treatment, not only are you completely blissed out, but all your chakras are vibrating the way they should be. Amazing. A client on the treatment bed. While I’m there, my mother asks me if I can stay longer because she wants to give me a crystal healing. I mentally cancel everything I had planned to do that afternoon, because a crystal healing from my mother is not to be missed. Ever. You probably haven’t had a crystal healing from Belinda Foley, so picture this: you are lying on a low bed in a purposely designed healing room. There are beautiful crystals everywhere. Crystals are chosen specifically for you and what you need. Magical things happen: there are feathers and brushing, gentle murmured words and a deep, deep feeling of relaxation and connection. When I am finished, I am not quite the same person. Colours look brighter; I feel transformed. For some reason, my family (partner and children) are totally disrespectful of my boundaries, when everybody else I interact with are very respectful…I think this is because I hold myself back from true intimacy because I am afraid of losing myself and feeling vulnerable, but then I feel guilty about that and have poor boundaries to compensate. I am energized by intimate relationships. I feel safe and comfortable sharing my inner self. Many thanks to Gordon, Belinda and Michele – I am honoured. If you are in the area and would like to try any of these modalities, leave a message for me in the comments section below. My son showed me this Looney Tunes clip today – and damn, it is so clever and funny, I just had to share it with you guys. Ready? I tweet here – mainly articles that don’t make it as my best read, but are totally worth reading and quotes. I love what Miriam Williamson has to say about being spiritually fit..it’s like the off the mat approach to spirituality…and isn’t that where we need it most anyhow? Sounds like you had a pretty fantastic week! Yes – the off the mat and out of the church/mosque/temple approach to spirituality…because what’s the point of it otherwise? I love lemon 😀 thanks for inspiration! I’m glad you liked that looney tunes clip (I love Bad Bart with gristle in his teeth and diabetes in his eyes 😄). I too am very fussy about who I follow – because if I follow somebody, it means I will be reading their blogs in my reader, and man, I hate reading dross 😳. Although I must say that there are a lot of people who just press follow and don’t read the blogs they have followed. Weird 😊. Nice to see you here 💗. Lovely, Sara. Photo and reflections. I appreciate the reminder of the need for practice. We need to trAiN our muscles, physically or mentally, to get from one point to another, and indeed it is no different with spiritual growth. You bring to mind a book by Richard Foster, Celebration of Discipline: The Path to Spiritual Growth, where he speaks on the spiritual disciplines. Thank you Diana 💜 I have this feeling that you are no stranger to discipline 😊 I fear it has come upon me in later life, or perhaps it might be more accurate to say that I forgot that I had the capacity for discipline and rediscovered it for my infinite benefit a few years ago. It us amazing how much progress I’ve made since 😊. Thanks for visiting, it is always such a pleasure.